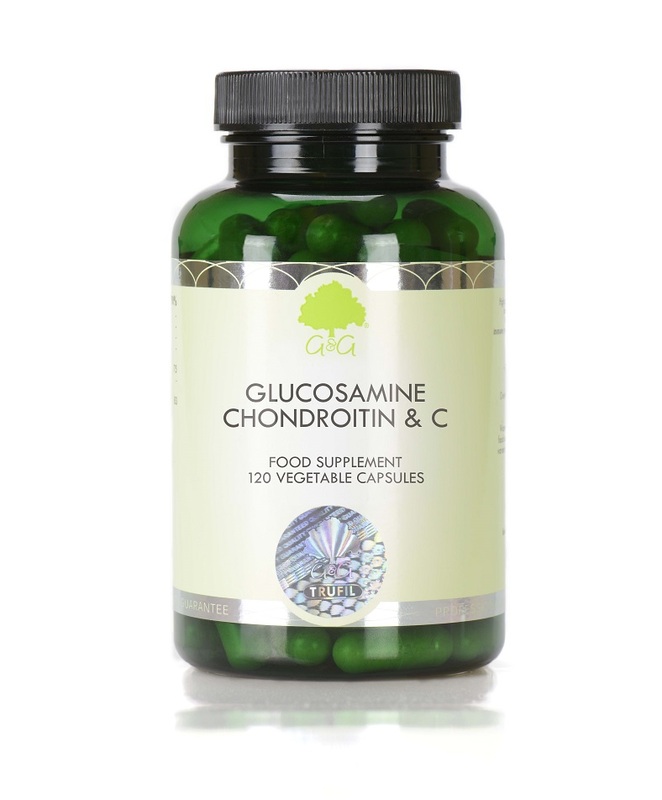 Our Glucosamine, Chondroitin & Vitamin C supplement provides high-quality natural glucosamine and chondroitin in every capsule. We have also blended pure vitamin C in the form of ascorbic acid into the supplement to add an additional nutritional value. Glucosamine and Chondroitin have become synonymous with bone health supplements. We received a number of requests from our practitioner clients to produce a supplement that contains both glucosamine and chondroitin, and we were happy to comply with this high-quality supplement blend. Vitamin C is a potent antioxidant which is needed for the synthesis of collagen and works in harmony with glucosamine and chondroitin. WHAT ROLE DOES VITAMIN C PLAY IN CARTILAGE HEALTH? Cartilage is the flexible connective tissue that is found between bones. Vitamin C contributes to normal collagen formation for the normal function of bones, cartilage and skin. *WHAT DOES OUR GLUCOSAMINE SUPPLEMENT DO? Our Glucosamine, Chondroitin & Vitamin C supplement comes in the form of a vegetable cellulose capsule. This enables us to offer a supplement that does not require any unnecessary chemicals, excipients, binders or unnatural fillers. A vegetable cellulose capsule is designed specifically to break down naturally within the acid of your stomach, ensuring that the nutrients are absorbed during digestion. Take 1-2 capsules daily or as a directed by a healthcare professional.